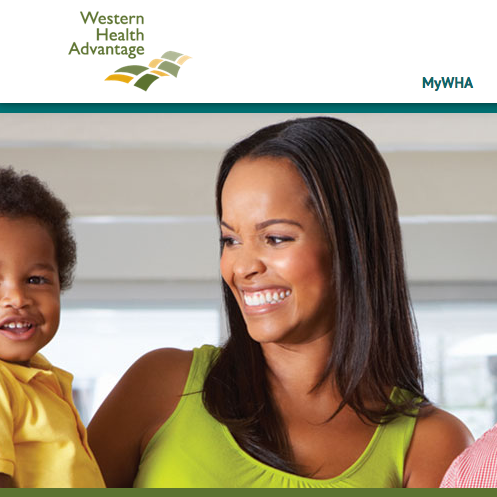 Axiom provided a complete overhaul of the user experience at WesternHealth.com to mesh with California’s newly created health exchange. 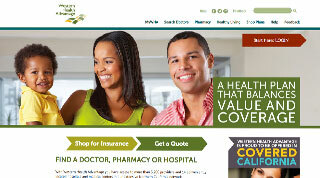 We delivered a fully responsive website—optimized for mobile devices—that streamlines the process of choosing a health plan. Axiom led the strategy, UX design, coding and content migration process for more than 1,000 pages. 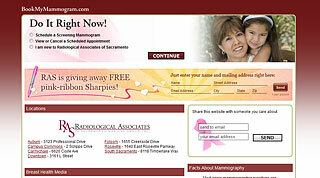 A new version of old site, modernized for business growth. In partnership with the Council of Accountable Physician Practices, Axiom collaborated in the creation of a multi-faceted public advocacy campaign targeting healthcare delivery reform. Axiom’s work included strategy, design and creative production for multiple digital properties. 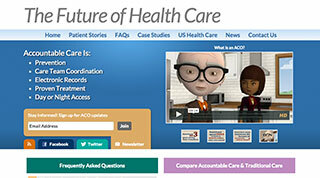 Our work shaped the conversation around the Affordable Care Act. 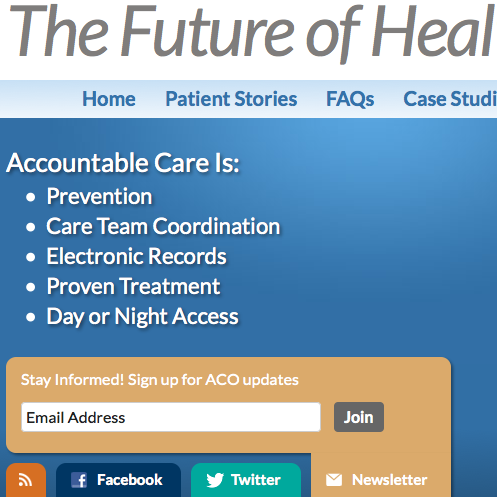 Our SEO and content strategies—combined with paid search campaigns—created organic authority for our client around keywords related to Accountable Care. 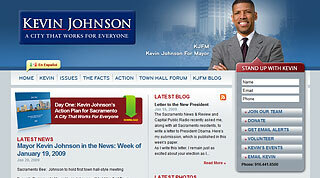 As we proudly tout on our homepage, the Mayor's electronic media strategy was widely hailed as a significant factor in Sacramento's November, 2008 general election. Nine months of our lives for a great client. A case study in SEO and SEM, in the way we also addressed the challenges he was experiencing being found online amid the sea of Kevin Johnsons. An investment advising start-up that organizes groups of investors around experienced "pod" leaders, Blackfish needed a brand name and design for their website. Not just any look would do. We plugged into their existing team and worked side-by-side to help create a killer online brand. A start-to-finish internet marketing strategy. Brushfire needed help defining its brand and telling its story. To get their message in front of fortune 500 brands and A-list celebrities, our strategy involved a private website where select visitors get a unique log-in code for a targeted video experience with Brushfire's founders. 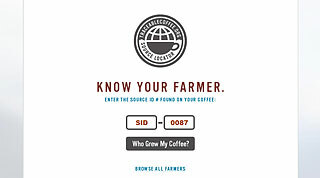 We deployed a Search Engine Marketing campaign to help Brushfire stand out among similarly named companies. Launching a new website is the perfect time to implement cloud-based intranet services. Expensive software licenses for Microsoft Word, Excel, and Powerpoint and expensive intranet solutions were replaced with enterprise-class Google Apps. In this particular project, we also developed a pioneering shift-scheduling and vacation request tool that integrates with Google Calendar, and is now availableto Google Apps users around the world. In addition to developing new software products for clients, we are busy producing innovative new products that make it easier for designers and programmers to produce best-in-class websites. 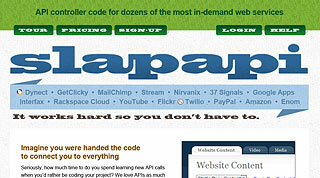 SlapAPI is a product for the developer community that enables programmers to quickly and reliably deploy third-party services inside their web development projects, regardless of which programming language they prefer to use. Yes, we're the geeks among geeks. In addition to moving the foundation's application-for-funding process completely online, we developed fundraising campaign software that helps people raise money for their child's medical procedure. The system creates a unique landing page for each campaign, and drives traffic through a series of automated communications that unfold during the course of each fundraising campaign, telling friends and family about a child's challenges and journey toward healing. In the competitive field of diagnostic imaging and nuclear medicine, radiologists compete for the attention of informed patients desperately seeking solutions for their medical conditions. 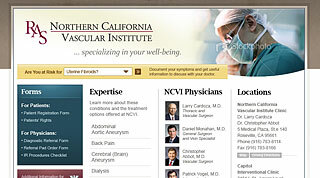 We helped launch Northern California's premier vascular institute with a sophisticated SEM campaign connected to a new website designed to provide highly relevant landing page experiences. The interactive design leads visitors down a clear path toward a measurable conversion. 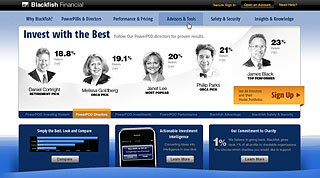 Revionics is the fastest-growing software-as-a-service product in the price optimization field. As the underclassman in a field of Oracles and SAPs, Revionics needs to a) show their product for the genius that it is; and b) demonstrate in everything they do that Revionics is a company that rolls out best-in-class technology and compelling user interface design. 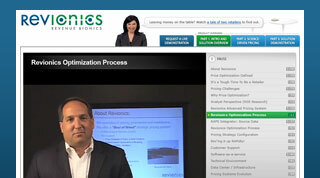 This is one of their microsites, where prospects and clients can have targeted experiences with the Revionics brand. This is a public affairs advocacy campaign. It's a great example of conversion-oriented design. What do you want your visitors to do when they come to your website? If your website doesn't have a clear goal, how can you measure it's effectiveness? We helped our client build a grass-roots political coalition that used this website to send over 50,000 faxes & emails to federal policymakers. 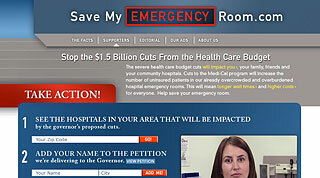 To fight proposed budget cuts, the California Hospital Association needed a grass-roots movement to convey how local communities would be impacted if emergency rooms were overrun with former Medi-Cal patients. We created an internet strategy that delivered more than 25,000 faxes and emails to state representatives during a 30-day blitz with our easy-to-use "action center" that collected a zip code, identifies the visitor's local elected leader, and allows the visitor to send a fax and email within 60 seconds of arriving on site. 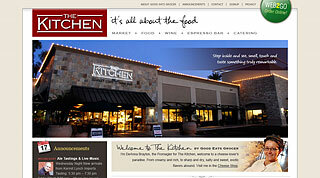 The Kitchen Scottsdale is a restaurant & market where foodies gather to enjoy and learn. Their internet strategy revolved around customer outreach. When Kitchen staffers announce a new event on their website, a beautiful promotional email blast targeted to the appropriate segment of The Kitchen's opt-in email list is automatically created and sent. For events, a dedicated landing page is created where email recipients (and site visitors) can view event details, get directions, and add the event to their calendars. 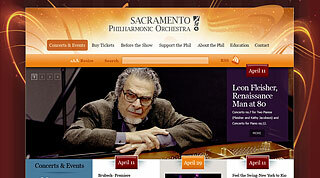 The Sacramento Philharmonic Orchestra got a beautiful new site befitting for one the premier arts organizations in our region. 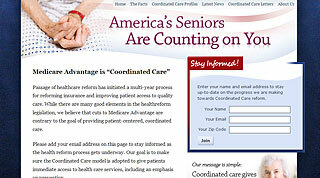 Their website content can be changed on the fly, using our simple and intuitive Content Management System. A calendar-driven organization, The Phil's new site is integrated with our e-blast system, which means every time they add a new event to their website they are also creating a customized e-blast for their followers. Why wait for visitors to come to your website when you can push your updates out in real time? 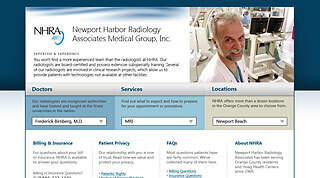 An original market strategy for a radiological imaging group, executed with compelling conversion-oriented design. Released during October for Breast Cancer Month, its been a significant source of new business for the client. We developed and executed an original market strategy for the County of Sacramento that offered four regional advertisers the opportunity to sponsor Free Wi-Fi access at the Sacramento International Airport. Our program delivered more than 90,000 page views per month, in conjunction with branded "Free Wi-Fi" signs throughout the airport property. The two-year program generated more than $350,000 in revenue. Roger is a great guy and powerful politician, but his reputation as a wonk often preceded his warm, genuine character. 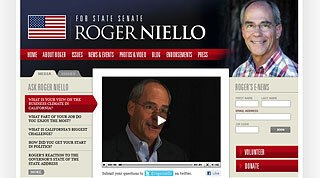 He had an official website as a ranking member of the California State Assembly, so the goal of his personal website was to tell the Roger Niello story, and reveal a more personal view. Prosper published a monthly business magazine for nearly four years before re-organizing around our core competencies. Since 2008, we have focused on helping businesses achieve their objectives with marketing insights, technical and creative innovations, and obvious impacts. 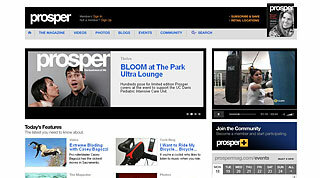 One of our first projects together as a group, we developed a web TV channel to support Prosper Magazine. We built the website, and produced numerous feature videos to highlight magazine stories and provide an additional channel for magazine advertisers. We still update ProsperLive.tv periodically with new videos from our commercial portfolio. Video production remains one of our strong suits. This was a fun internal project we created to aggregate all the Sacramento bloggers into a single portal where we could organize them by topic. We also aggregate every tweet that mentions Sacramento. All in real-time. Makes it easier for us to stay in touch with the street(s), and our site visitors agree. Bookmark it. 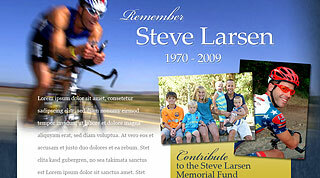 The tragic death of one of America's greatest cyclists inspired us to create a memorial experience that allows site visitors to add personal remembrances, donate money, and even post photos directly to the site by simply emailing the images to a flickr.com email address. The subject line of the email containing the photos becomes the title of the image, and the text of the email is displayed as the photo's caption. The photos are automatically added to a Flickr gallery and then displayed in a live feed to the memorial site's homepage. Remember Steve. Another boring awards ceremony with long speeches? 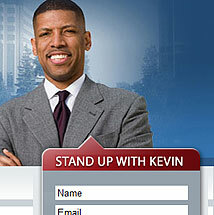 Not for the Sac Metro Chamber. When the Metro Chamber set out to re-invigorate its annual dinner, they tapped us to help plan and produce 2-minute profiles of each award recipient. Friends and family come to our studio to talk candidly about the recipient and the honorees themselves are also part of the show. After the event, we post the videos online, which makes sharing and remembering all the more impactful. 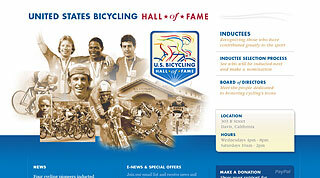 The Tour of California was coming to Davis, California and the recently re-located US Cycling Hall of Fame was finished just in time. A new building, a new logo, and a suddenly a new website, too. With deadlines looming large and the international media about to arrive in Davis, we rallied and got a beautiful new website designed, developed and launched within seven days. Jude even worked late on his birthday! 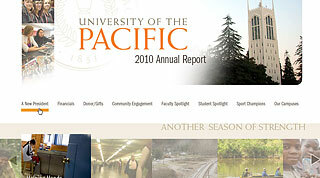 Deployed the UOP President's 2010 annual report website to their alumni.